these Vegan Meat Crumbles are the star of every dish you add them to! a vegan ground beef recipe with great texture and flavor for tacos, spaghetti, casseroles, burritos, and so much more! We have been enjoying these Vegan Meat Crumbles for years. They are a milder version of my oh so popular Spicy Vegan Chorizo Sausage Crumbles, and originally modified from the old Raw Taco Filling we still love! As a long time vegan, I often hear “why do vegans want to mimic meat?” when people see a meat substitute like this vegan ground beef style recipe. I have heard a few different answers to this question, including the idea that many people actually did like meat before deciding to stop seeing animals as food. That wasn’t really me, as I have had an aversion to meat from a very young age. Longtime readers may recall the Hot Dog Incident from a six year old vegetarian Kristina. Add vegan ground beef to our Slow Cooker Basil Marinara and serve over fresh cooked spaghetti… a perfect Sunday Night Sauce! I love tasty tacos. I crave a flavorful burrito that is familiar and filling. We make hearty, taco style baked potatoes topped with vegan ground beef! I don’t see too much difference in beginning a recipe with a base, then adding flavor to it – this recipe is like any vegan ground beef where flavor is added – spices and aromatics. There are plenty of vegans wanting traditional foods. 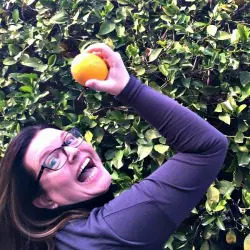 With my recipes, I want to give them plant based alternatives to traditional foods. People with allergies? If I can also make these recipes gluten and soy free? I will do my best. This vegan ground beef is moist, not dry. The deep flavors and layers of texture play well with so many recipes. I have a couple recipes featuring these meaty crumbles – I will be sharing soon! these Versatile Vegan Meaty Crumbles are the star of every dish you add them to! this recipe brings great texture and flavor to tacos, spaghetti, casseroles, burritos, and so much more! In large sauté pan over medium heat, add vegan bouillon and 2 tablespoons water. Once bouillon is dissolved, add onion and garlic. Sauté until softened, adding water as needed. Add riced cauliflower and minced pecans, and continue to sauté several minutes. Continue to add tablespoons of water as needed to deglaze bits from pan. 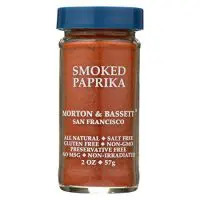 Add sun dried tomatoes, tomato paste, coconut aminos, smoked paprika, salt, pepper, and water by the tablespoon as needed. Stir to coat. Continue to cook over medium heat until heated through. Serve immediately in tacos, as a burrito or bell pepper filling, in a scramble, lasagna or spaghetti sauce. Have you ever tried this with walnuts instead of pecans? Probably wouldn’t affect the texture too much but not sure if pecans lend something specific to the flavor profile of this recipe. Just wondering because I don’t have ready access to organic pecans but do always have organic walnuts on hand. hi Tammy! YEP, you absolutely can use walnuts, I have! and I love the flavor walnuts bring too – not too much different. I hope you enjoy – let me know how you like it! This recipe looks and sounds like the best taco meat ever! Just reading the ingredients I KNOW it has the best flavor and the pics of it on the spaghetti are simply gorgeous!! As you know, our cookbook is all about giving our readers back the foods that they grew up loving, but without harming animals. Meaty crumbles is one of those ingredients and like you, I love adding them to my spaghetti sauce. This recipe sounds awesome, I can’t wait to make it! Love the combo of cauliflower and pecans…I bet it gives amazing texture! I can see why you may want something like this for the texture. That was one thing I missed when I was a vegetarian – was a variety of textures. I’ve never made my own “meaty crumbles” but this version sounds so much healthier than so many of the store bought ones. This looks so great, I’m always looking for meatless meals! Wow! Surprised with the ingredients, definitely marking this one up as one to try out!! This is such a delicious idea and perfect for anyone transitioning to a meat-free way of eating. My son would asbsolutely love these. Thank you for sharing. The possibilities are endless! This is also a great when I’m having people over for dinner who aren’t necessarily vegan but are interested. Wow, I did not expect those ingredients. These sound downright healthy and easy to make. Right up my alley! Tremendous! I imagine this in lasagne and YUM! 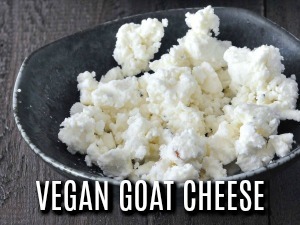 Using nuts and cauliflower to make “meat” is total genius!! I love how versatile it is, too! Wow, I’v never seen anything like this! 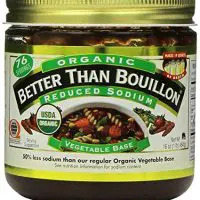 What bouillon do you use that’s GF?